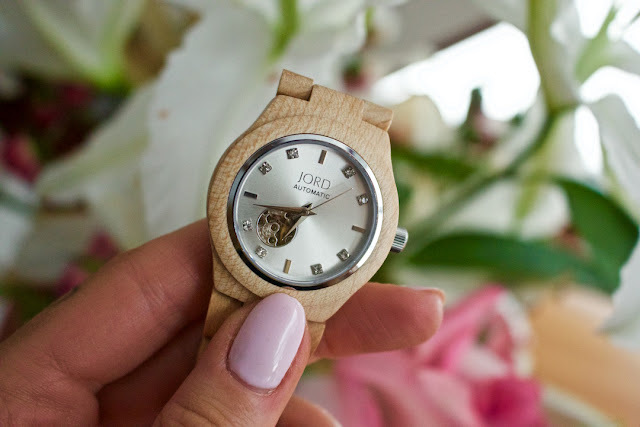 Whether you want to treat yourself or something else, JORD watches might just be the accessory you're after. Some of you might've seen various watch companies on Instagram and felt skeptical of their quality but, let me tell you, i think you'll be as pleasantly surprised as i was if you get your hands on a JORD watch. JORD have an incredible selection of wood watches that are light-weight, well made and very easy on the eye. While their designs are somewhat simplistic, the open back of the watch shows the immense detail that has gone into its creation as you can watch the self-winding drive system that keeps it all going. 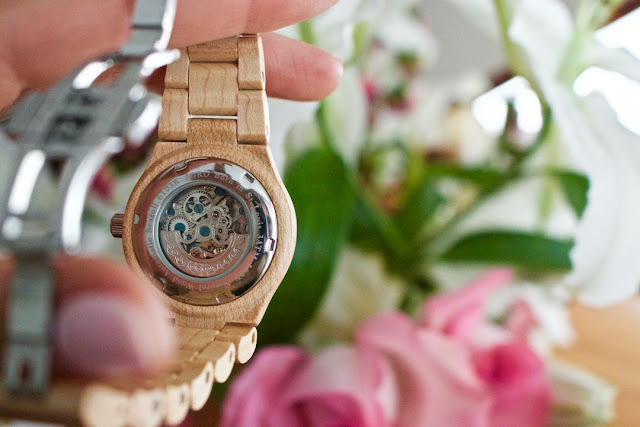 The one i chose was their Maple & Silver Cora watch after i fell in love with the minimalistic yet earthy bling of it all. While JORD did send me my Cora for consideration, i'm under no obligation to give a favorable review and would certainly now buy from them as gifts for family or friends. JORD offer custom sizing and their customer service team are amazing! You can even use their chat option on their website if you're unsure of anything. If you'd like a JORD watch of your own, or for a loved one, i do have a discount code for the first 100 of you to receive $20 off! To retrieve your discount code just follow this link! 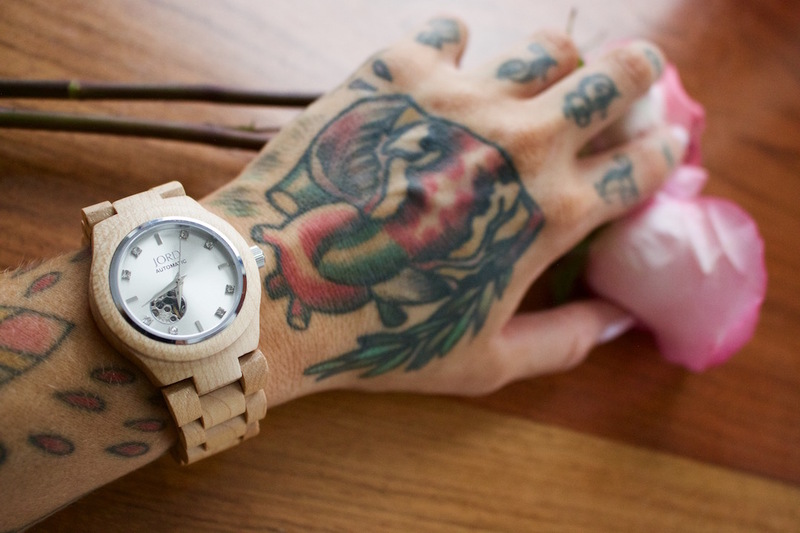 I know a few of you already have JORD watches you love and have shown me on snapchat so i'm stoked to share a discount for the rest of you who might be interested.